Find The Perfect Exterior Door for Your Home and Save Up to 25%. Nothing says more about you and your home to the visitor than your doors and windows. In fact, your front door is usually the first thing that anyone looks at as they approach your house. Certainly, they may admire your front lawn or plants, but in general they look where they are going, which is to your front door. It follows that in order to make the visitor welcome you need a front door which is smart, welcoming and complements the style of your home. For door replacement, look no further than Window Medics. We stock a huge range of doors to suit every type of home whether it is a traditional country house, a very modern home, detached, in a terrace, or any other sort of situation. Exterior Doors Available in Steel and Fiberglass. 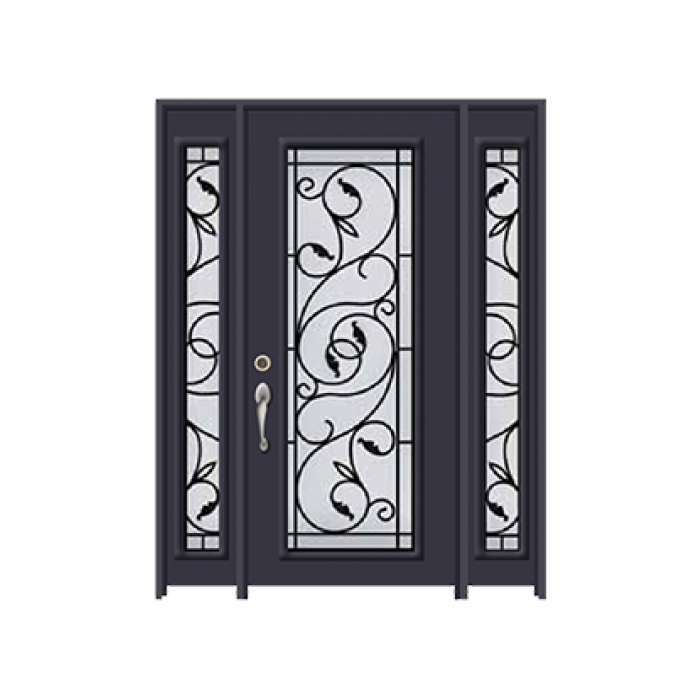 Take a look through our catalogue and you will find wrought iron doors, fibreglass doors and decorative glass doors in a wide range of colours and amazing designs. All our doors are built to last and are also built for total security. They contain 8 gauge security plates to reinforce the lock blocks, and we use 24 lock blocks where other doors only use 12. Our doors are all fitted with deadbolts for enhanced security. They also ride on ball bearing hinges which will give years of continuous and trouble-free performance. Gam bumpers will prevent the glass from ever rattling – even in conditions of extreme heat. You will never suffer from draughts with a door supplied by Window Medics. Zmag weather stripping takes care of that and can actually reduce your heating costs by up to 15% as a result. The ProLux paint that we use is UV resistant and also reflects heat, which will keep air conditioning bills down in the summer. Our doors are also very easy to install. 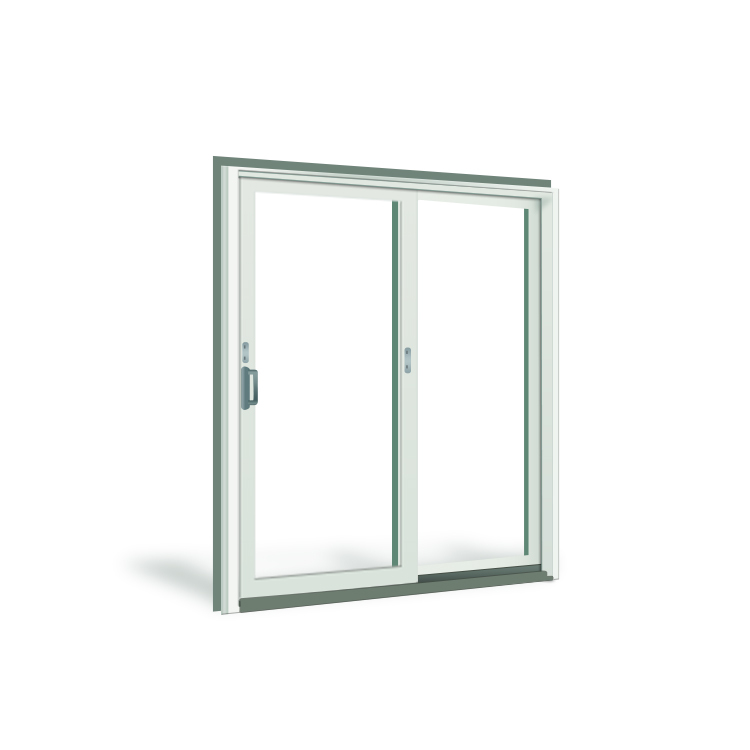 Our sliding patio doors comes in different swing and hinge formats to suit any situation. The rails are crafted from Canadian pine and the bottoms of the doors are pressure treated so that they cannot rot. They can be hinged off side jambs and options include three or four panel screens and a mounted interior screen. All these doors are – as you would expect – Energy Star rated. Our garden doors are available in polyplex white, maize, green, sable, olive, and taupe to complement both the rear of your house and the design of your garden. 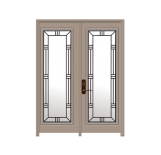 At Window Medics we have over 80 different doors in stock in colours including dark brown, slate grey, sandalwood, chestnut, dark cherry, Wedgwood blue, olive green, forest green, antique mahogany, and many more besides. For door replacement, Window Medics cannot be beaten. Call us on 514-600-6568 or email us at info@windowmedics.com. Alternatively, just use the Contact link above and one of our friendly staff will take care of your needs immediately.